A Teeth Whitening Trick That Actually Works. If you've had a chocolate filled Easter weekend, then you will need a trick to brighten those pearly whites again. I've tried and tested all those whitening kits that come with a gum shield which you apply a gel and keep it in for however long. None of those work. Believe me, i am like a little guinea pig. I test anything. Literally. So believe me when i say none of these products work. You either have to spend fortunes on getting it done professionally ORRRR take my word and test my recommendation. I heard about these little strips of magic from a friend at work and have been in love ever since. This was 5 years ago. So, what the hell are they i hear you ask. They are so amazing i don't understand why everyone isn't walking around with bright white teeth. So you can purchase them from their website (i think) or from Ebay which is what i do. They cost about £17 for 10 strips (two strips in each pack for top and bottom). If you've never used these before then i would suggest you need around 10-14 strips. As you are meant to do them each day for an hour for a week. But to be honest i wouldn't do it everyday and i would suggest doing it every other day as it does make you teeth sensitive so prepare to have sensitive teeth until you buy yourself some sensodyne toothpaste. If i haven't used them in a while ( around a couple of months) i would do it twice a week until i've reached the whiteness i want. Don't leave them on for longer than an hour as they harm your teeth and you will end up with shooting pains up your teeth. I have been there before!! So just type into google 'crest whitening strips' and any of these do the job. I have tried each type there is so don't worry if its a little different to mine. The only ones i haven't tried is the 2 hour express ones. The process is..pop the longer strip on your top teeth and fold over any excess on the bottom. Do the same with the bottom strip for the bottom teeth. This is how it looks, obviously i had to pull a silly..i want to say face but with my mouth. Anyywayyy. Its not like a gum shield it is just simply a strip of thin clear plastic. I would like to point out, I have a verneer on my tooth right of my two front teeth, but on the pictures its on the left side. I hate it and its awful. I got it done before i started whitening my teeth so it isn't as white as the rest of my teeth as it doesn't change colour. I do hope to get this sorted one day when i am rich. So just know that if you have anything similar then note that it wont change the colour of these teeth. This is after just one session. Note that i do it often so if you have't done it before then it will take more than one session. There was different lighting on the pictures but i haven't edited it. Hope this helps you all have pearly whites! These are very high up on my list to buy when payday comes around! They look like they're worth every penny! Looks good on you! So sad I bought several whitening strips, but it doesn’t work well with my teeth. I don’t know why. I just consulted my cosmetic dentist in Beverly Hills about my dental dilemma. I underwent whitening treatment and voila, the discoloration was gone and I’m very satisfied that I had whiter teeth now. The optical maser can activate the ingredients and enhance their properties. the mix will facilitate to lighten your teeth by many shades over multiple applications, for more information click here veneers palm beach gardens. That teeth whitening regimen really looks effective on you. It made your smile more beautiful. It really seems that you underwent a dental procedure to get those pearly whites. Hahaha! Thanks for sharing that, Laura! All the best to you! Wow! The effects of those whitening strips are so visible in your before and after photos. Your teeth is really comparable to a brand new thing, and you can totally call them pearly whites now. Hahaha! They look new, shiny and really white, which added more charm on your gorgeous smile. Thanks for sharing that, Laura! All the best to you! Whiter teeth for less the cost? Not bad! In fact, it showed visible change on your teeth after just one session. It’s good that you pointed out having veneers, though unfortunately teeth whiteners does not whiten veneers as they do with real teeth. Nonetheless, you have a better smile now. Good day! The above mentioned techniques are really valuable and more easier and faster than other techniques available in the market to make your teeth whitening. 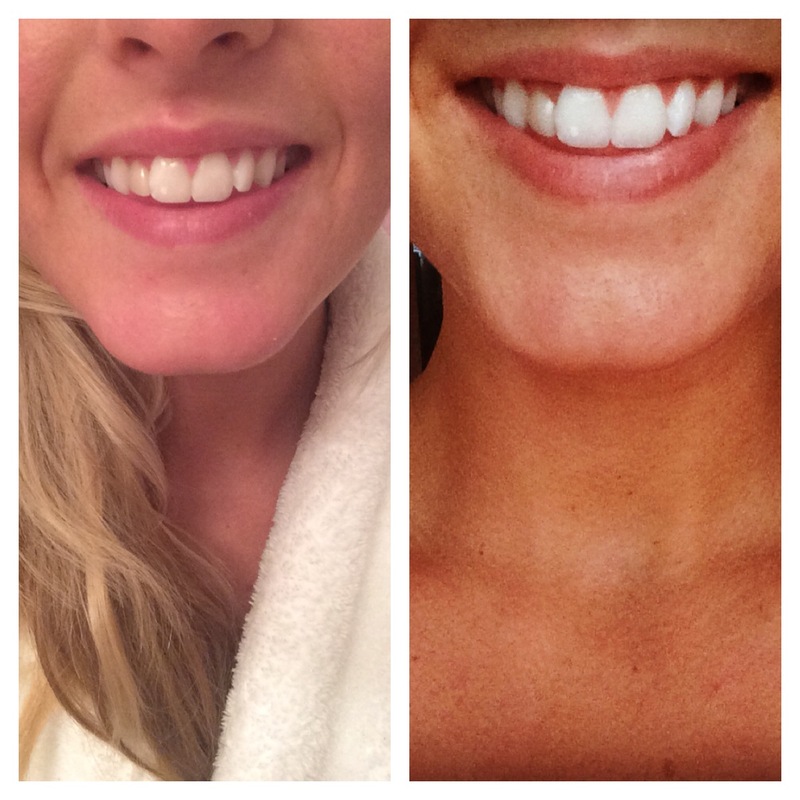 Thanks for your teeth whitening trick..
Great post! Thanks for sharing it! If anybody searching for Teeth whitening products, Amazingwhitesmiles.com Teeth Whitening Kit boots gives you the best Results for eye getting certainty with everybody. Shop now!